The Stealth Night Hawk is electric. It is a side-by-side utility vehicle. It is a Hunting Vehicle. It’s a Turf Machine. It is an all-purpose farm utility vehicle. You can even get it with a Solar roof to recharge it. It has a convertible cargo box that becomes a dump bed that becomes a flat bed or even a seat for two passengers, with seat belts! So what do you call it? A solar vehicle? UTV – utility terrain vehicle? EUV – Electric Utility Vehicle? XUV – Extreme Utility Vehicle? EV – Electric Vehicle? 4×4 – Four Wheel Drive Vehicle? Side-by-Side? Maybe it’s the Swiss Army Knife of vehicles. All those terms are right, we think. What we don’t know is what others call it. 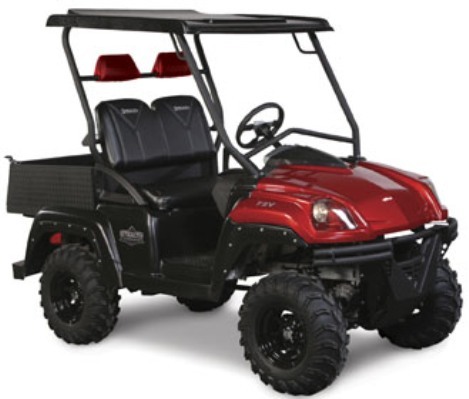 What do you say when you refer to a vehicle like the Stealth Electric 4×4 Side-by-side all terrain utility vehicle? This entry was posted in Uncategorized and tagged 4x4, Electric Vehicle, EUV, EV, Farm Utility Vehicle, Hunting, Night Hawk, Side-by-side, Solar Powered Vehicles, Solar vehicle, Stealth, Swiss Army Knife, Turf Maintenance, UTV, XUV. Bookmark the permalink.